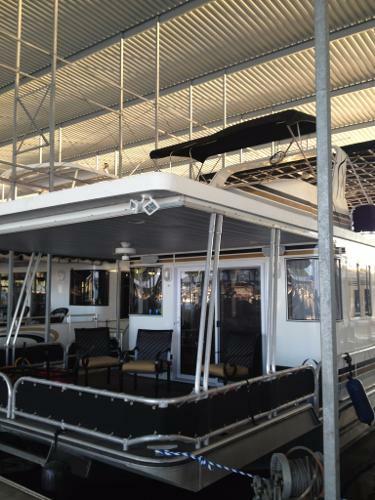 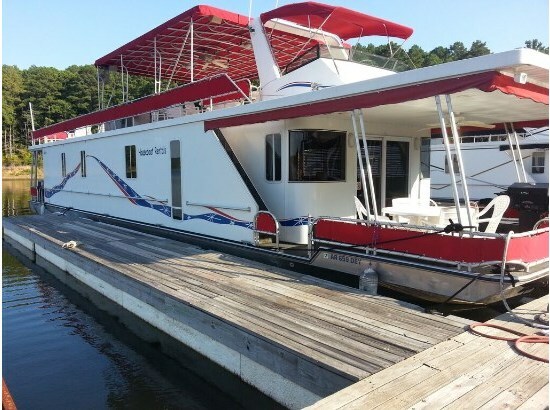 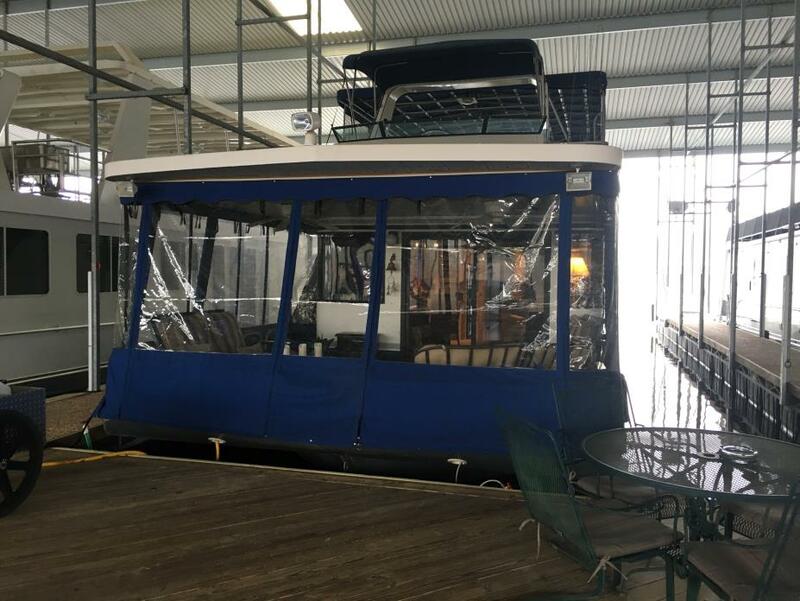 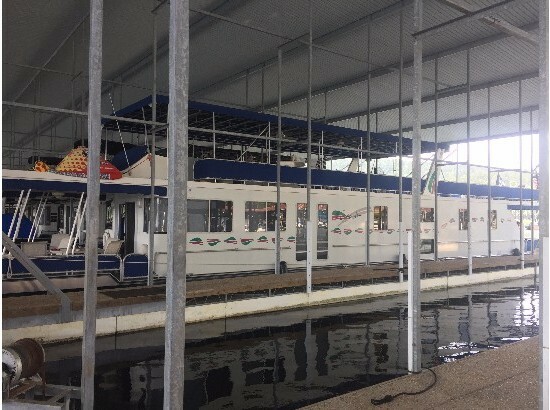 1997 LAKEVIEW YACHTS Houseboat For Sale $215,000 1997 Lakeview Houseboat Iron Mountain Marina (comes with a slip) DeGray Lake, Arkadelphia, AR 74' Long X 15' Wide 4BR, 2BA, Twin Engine, 12.5 KW Generator Laminate Hardwood Flooring Added since purchased in 2010: 15 Hp Side shift electric rear thrusters, 2 new 120 gallon blackwater tanks, Granite throughout, 4 flatscreen TVs with TV lift in Master Bedroom, water heater, all new appliances including sinks and faucets, new carpet, dining room chairs. 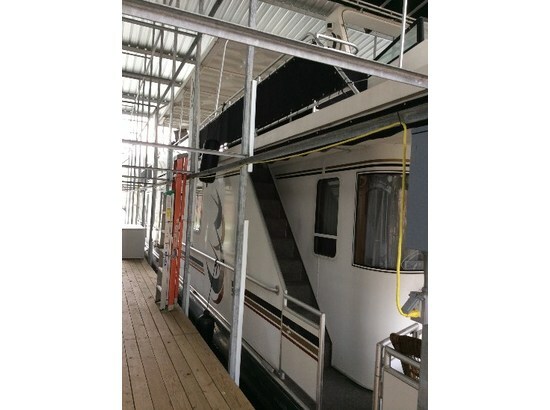 Upstairs: new icemaker/frig, 2 AMP Bose soundsystem with Bluetooth, all new outside furniture. 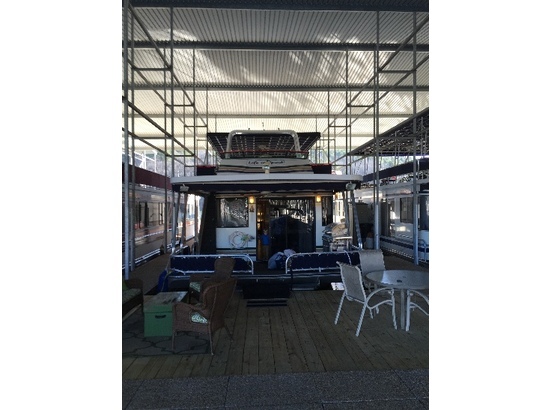 Boots replaced (2013), LED exterior rope lights and much more.